I just found this in my draft folders! I have no idea how I forgot about it. This look is from months ago. I actually wore this to IMATS when the girls and I went. Talk about space cadet over here! So anyways...let's make this one short and sweet. I used Fame from ILNP and thick chevron Nail Vinyls. Fame is filled with silver and gold flakes, plus holographic pigment. It is stunner that shouldn't be missed. When you are indoors its a light champagne gold color, but as soon as you walk outdoors BAM in your face prettiness. No lies! How do you feel about negative space designs? Sometimes I love it and sometimes I'm like "meh". Beautiful! ILNP is one of the indies that I still need to try. One of these days! ILNP hits it out of the park every time. I can't get enough of her polishes. I agree with you totally about the free edge. I've been trying them more and more, and I think I'm coming around. I was skeptical at first but I'm starting to like them more and more. Gorgeous polish and I like negative space manis a lot! I love negative space manis! I'm not a fan of ILNP, but this is the perfect polish for this! Thank you! I love that it works together in a sort of bling-y yet subtle way. 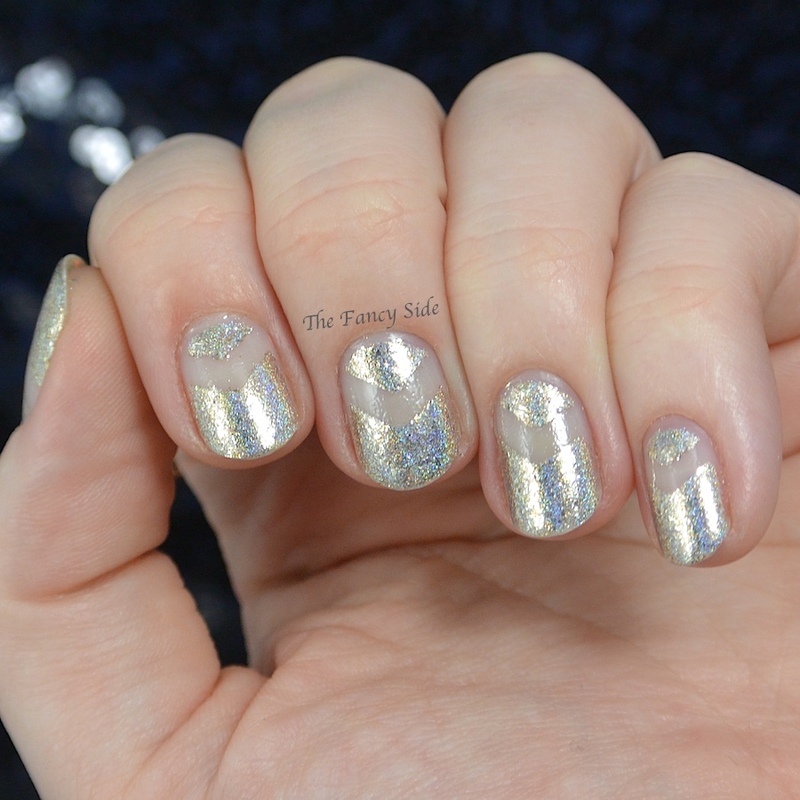 I'm not a huge fan of negative space manis, but I like this one because it's more subtle. Fame is really pretty! Thanks! I totally agree with you. These are fabulous!! I love negative space manis!! I'm a big fan of negative space but have too much staining to do them so I am really jealous! These are beautiful! I hate staining, it's the worst. This is gorgeous. I love negative space manis but my nails are so damaged I haven't tried one yet. It took a while for me to get the courage up. 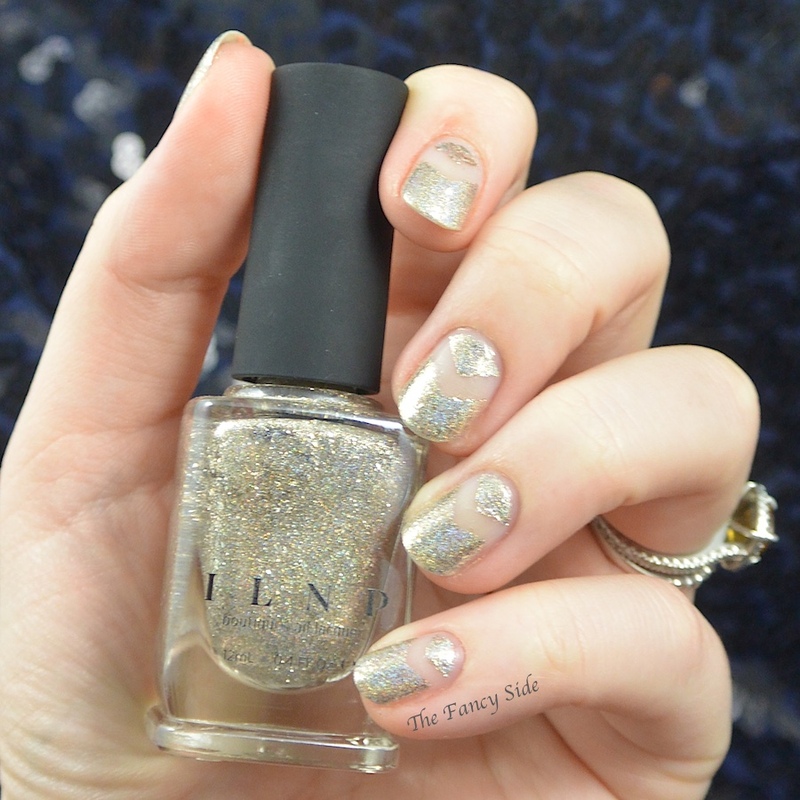 I love negative space manis, I love ILNP... basically I love this mani! I love designs like these. I'm a fan of negative space and I love the simplicity of the design pared with such a beautiful polish. Thank you Nadia. I think you hit the description perfectly. 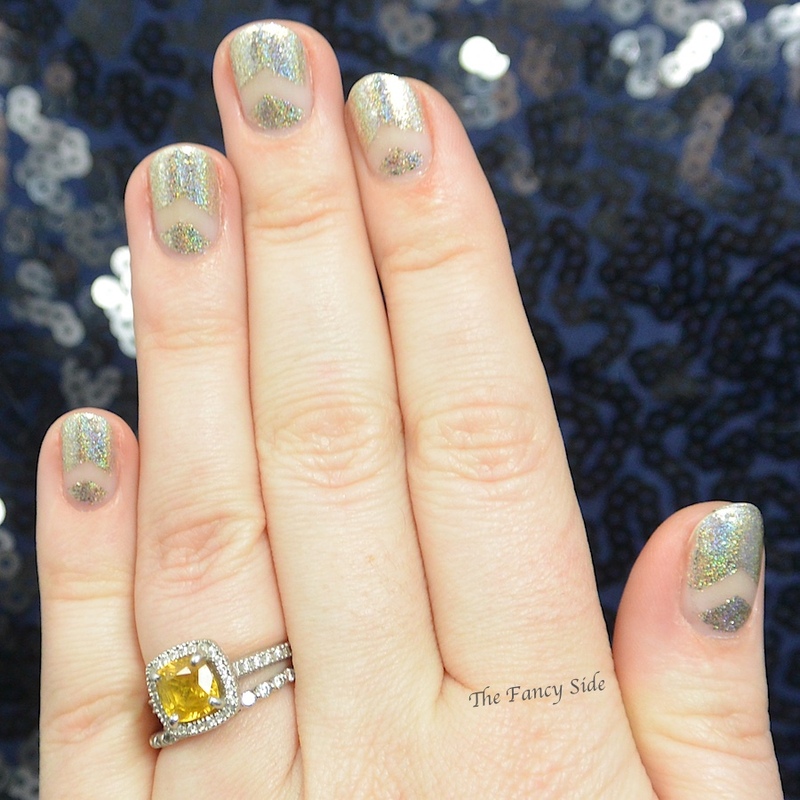 Most negative space manis I really like. I love this one as well. I definitely need to try it out! I would love to see you try it, it'd look great on you. Thank you! I love it a lot! Such a gorgeous mani. I always love any kind of negative space mani and this one is flawless. I love this type of negative space design!! I did a similar one last fall using a KBShimmer jelly!!! So pretty and dainty!! OOOH! This would be pretty with a jelly. Love that!